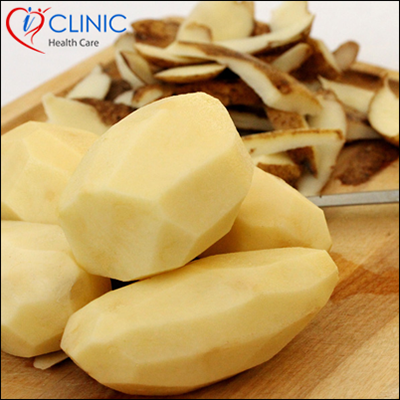 Rinse and peel potatoes well. Put the peels in an unimpaired enamel pot and cover it with water. Boil and filter the water. Take 50 grams of this water as many times as you can in a day.